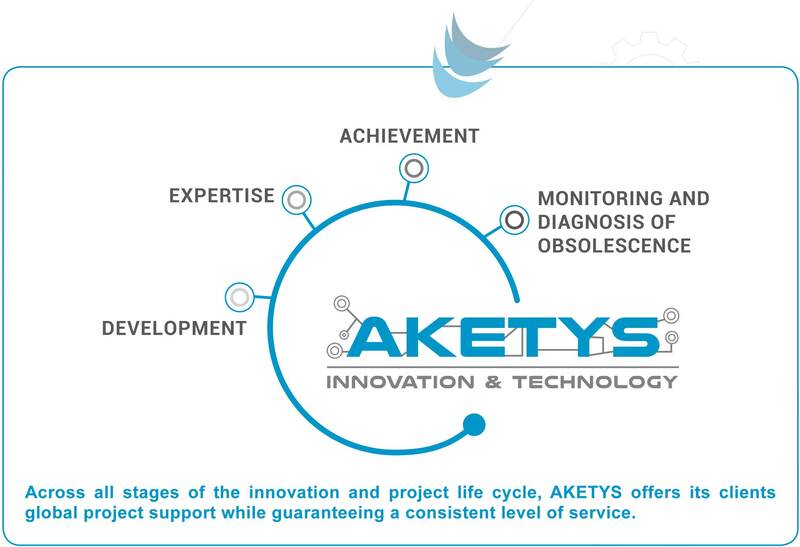 For more than 10 years, the Research and Development Company AKETYS has developed a unique technological know-how in innovation and high-tech engineering. such as Industry, Automotive, Aeronautics and Railways. Since 2011, AKETYS has been Applied Research Centre accredited by the French Ministry for Higher Education and Research (MESR). Moreover, AKETYS has also benefited from a privileged partnership with the Ile-de-France Region since 2013. Located closed to Paris, in the center of the Ile-de-France Region, AKETYS is intended for all types of professionals and companies who want to develop innovative projects. As a member of certified organizations dedicated to technological innovation (OPTICS VALLEY, SYSTEM@TIC, CRESITT, RAVI, OSEO Pacte PME), AKETYS is now well established on the researchinnovation-market. With a wide range of technical and engineering skills, our engineers are experts for providing flexible and effective solutions to your specific requirements. AKETYS team adds technological innovative value to your project which gives you a basis for looking forward with confidence. the fundamental role and the contribution of human in the Company.